SW 10th Street - What is Your Vision? 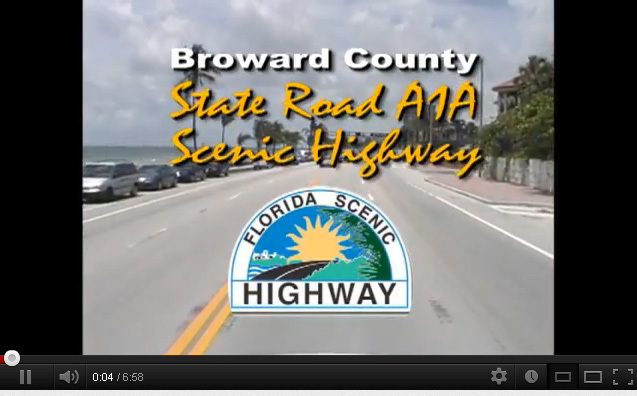 The Broward County A1A Scenic Highway was designated as a Scenic Highway in 2009. What is the Florida Scenic Highways Program? It’s a grass-roots effort to heighten awareness of our State’s historical and intrinsic resources — cultural, recreational, natural, archeological, historical and scenic — which collectively, enhance the overall traveling experience. Program participation provides benefits to the community, such as resource preservation, enhancement and protection. It’s a program designed to enhance travelers’ experience. This, in turn, provides subsequent benefits to the community. The designated scenic highways promote a heightened awareness of the state’s exceptional resources and unique history through educational and visual experiences. The Florida Scenic Highways Program will preserve, enhance and maintain the intrinsic resources of scenic corridors through a sustainable balance of conservation and land use. Through community-based consensus and partnerships, the program will promote economic prosperity and broaden the traveler’s overall recreational and educational experience. The Broward A1A Scenic Highway Corridor Management Plan (CMP) Update is available click here to download the document.